Looking for plenty of sunshine, sand, and solitude? What can be better than visiting the beach? How about living there year-round? Beach life offers a daily getaway from stress that is becoming more popular with those looking for a beautiful and relaxing place to live. The toughest part may be choosing the one that’s right for you. Looking for a beach location mixed with intellect? Look no further than Santa Cruz. Recently ranked number three in a well-being study, Santa Cruz came out on top with the locals saying they learn something new every day. 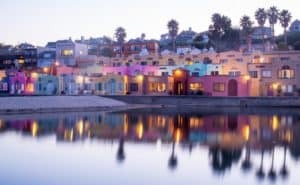 The area offers beautiful beaches surrounded by rolling hills making it a no-brainer for beach bums wanting a serene place in the Golden State. Stop by our Visit Santa Cruz California post to learn more about the area and plan your next vacation here. If you have the money to spend on a nice beach home and are a fan of the arts, Ft. Lauderdale is the place to go. This lovely town is commonly compared to Venice with its canals and waterways that snake throughout the city. You’ll find restaurants galore as well as a strong artist community. Ft. Lauderdale is a good choice for beach lovers who enjoy going out on the town and staying active. The median home price in Fort Lauderdale is about $317,000 but that’s expected to rise a few thousand over the next year. Landscaping near beach homes can also be a challenge since most lawns in Southern Florida contain sand-based soil, a good landscaper can help choose the right greenery and create the perfect compost. Visit our Fort Lauderdale Beach Vacation Guide to start planning a vacation here – check out this wonderful beach community! This beautiful Golden State location is home to gorgeous beaches and surrounding strawberry fields. Oxnard is located 30-miles west of Los Angeles making this the perfect spot for those who want to live in California but don’t want to spend too much. The average medium home value is over $300,000 which is a good deal compared to other California locations. You’ll be close enough to all of the amenities of the big city but also immersed in the rural farms and agriculture that the state is so well known for. Oxnard is nicknamed the “Gateway to the Channel Islands” with its close proximity to a marine sanctuary and national park. Visit our Oxnard Travel Guide to start planning a vacation here – check out this wonderful beach community! 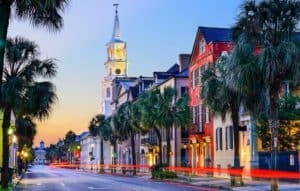 Living in Charleston will give you an amazing quality of life that’s hard to duplicate. This gorgeous beach town ranks thirteenth out of a list of over two-hundred for its enjoyable lifestyle. You’ll find plenty of amenities along with some Southern charm that’s only enhanced by the nearby ocean. Charleston is also a tourist hotspot creating plenty of things to do and a beautiful landscape that’s hard to beat. Visit our Charleston Travel Guide to start planning a vacation here – check out this wonderful beach community! Visit our Charleston Travel Guide to start planning a vacation here – check out this wonderful beach community! If you’re looking to move to the beach on a tight budget consider La Porte, Texas. This small beach town has the lowest housing costs in a recent Wallethub study. It’s located in the Houston metropolitan area and is a great place for families. 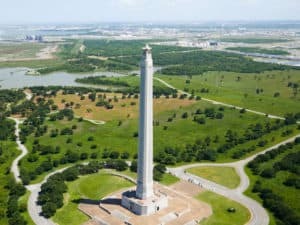 You’ll find plenty of nearby activities to keep the kids busy in Houston, but the city is still far enough away to feel like a cozy little hideaway. Visit our La Porte TX Travel Guide to start planning a vacation here – see what this great Texas beach community is all about! For those beach lovers who don’t mind cold water and misty mornings, the Olympic Peninsula is a great spot. Port Angeles, Washington is located on the Northern shore across from Victoria, Canada. You’ll find the area is very affordable with the average home costing less than $200,000. This beach town is also great for outdoor lovers who want to have easy access to the forest and plenty of hiking and exploring. If money is no issue, this Northeastern beach town ranked first in a recent study for education and health opportunities. 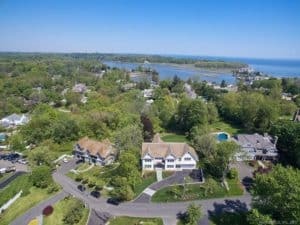 Westport sits on Connecticut’s Gold Coast and is about 30-miles northeast of the Big Apple. You’ll find a smaller population of just about 25,000 people in the town but also some of the highest home prices beach side as well. The town is known as one of the richest places in the country. It’s a great option for millionaires who value education and health accessibility. 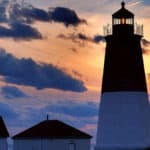 Westport is a great choice for a beach community, to learn more and to plan a trip here, visit our Westport Connecticut Travel Guide. This beach town ranks well in recent well-being and quality of life surveys. 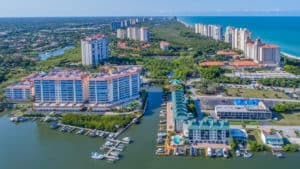 Naples is a wealthy community making this a good option for retirees looking for warm temperatures and a peaceful atmosphere. You’ll find plenty of tourism opportunities to keep you busy as well as many events that offer a unique taste of beach life for visitors. Visit our Naples Travel Guide to start planning a vacation here – check out this wonderful beach community! The Oregon Coast is a hidden gem for beach lovers. You’ll find cold Pacific water mixed with plenty of beach communities located up and down the coastline. Coos Bay is a great beach town to relocated to given its lower home values around $160,000. 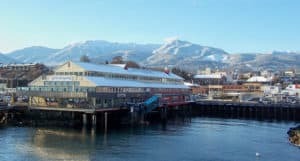 It’s a sleepy little town with a population around 20,000, making it a great choice for retirees wanting to sneak away from the big city. Ready to check out Coos Bay Oregon? 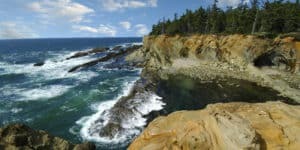 Visit our Coos Bay Oregon Travel Guide and start planning ! I have to say that you’ve outdone yourself! These are awesome beach towns! I’ve been to Ft. Lauderdale and Naples because I live in Florida and these are all such beautiful places to live. Your first image is breathtaking to say the least! There isn’t one of these places I wouldn’t want to live except maybe Westport CT. I don’t do snow anymore! I love Florida, so it would be between Fort Lauderdale and Naples. Probably Naples as that is closer to where I am at now. I don’t do snow anymore either and would probably nix Coos Bay as well. Although beautiful, my aunt and uncle live there and it rains a LOT. LOL Thanks for visiting beach travel destinations. My son always dreams to live in a beach city and lately, he speaks about it more and more often. He is 17 years old and the time passes very fast. Anyway, I will show him this list of beach cities so he can already get an idea:) Just a question, please. What does a non-US citizen need to do in order to be able to live in one of these beach cities? Is it easy to get a visa? I know that it is not as difficult as most seem to get a Visa to live in the USA. It is all about your presentation to the consulate, and about 100,000 student visas are handed out every year. Please let me know if you have any other questions. What a great compilation Leahrae. This will really be helpful in the future. I already bookmarked this page. When that time comes, it’ll definitely come in handy. 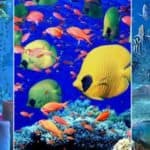 We all need to relax and go to a good place which can help us feel better.I like this website because it helps me feel the spirit of going to trip with my beloved ones. 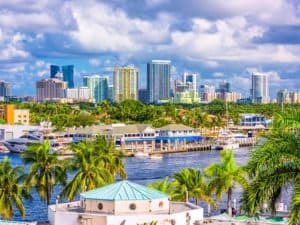 I like the view of Fort Lauderdale for sure and if I have money I will take at least one month of vacancy to stay there. Those beach towns you recommended us are the best in the world. Thank you for sharing with us this article. You are very welcome Julienne. I live in Florida so have a bit of preference for anywhere here actually, except mid state which is too far away from the water. I think if you are going to live on the coast, it should be on the water. Thanks for stopping by! We love holidays and love going to the beach. I believe that visiting beach can impact our health and well-being and sea air is good for sleep because it is generally cleaner and fresher air, with higher levels of oxygen. Your article is a guide to help those who want to enjoy their time on worlds best beaches. Living a few weeks or months next to the beach allows us to spend our free time relaxing at the beach and spending quality time together. Exactly Bushra! Thanks for visiting. Ciao, ciao! I have always loved going to the beach. And I remember as a kid spending even a month each year at a beach town. I have wonderful family memories there. I have always wanted to move over to a beach town. And reading through your list, Fort Lauderdale seems the perfect option for me. I love arts and love Venice. Thank you very much! You are very welcome. I live in Florida so I can say that Fort Lauderdale and Naples are both great beach towns. Love the website and the content. The Top Ten Beach Town’s article was very interesting and offered up a wide variety of beach towns on both coasts and north vs. south – something for everyone. I had not considered several of the areas you mentioned but can see the draw in the entire list. I have spent considerable time in Charleston, SC and Naples, FL but only visited some of the California and Oregon towns mentioned. If price were no object, Laguna Beach, CA would make my list (we lived there in the late 90’s). The Pacific beaches offer an amazing sunset, moderate temperatures and low humidity year-round. Charleston, SC by comparison is quaint (becoming very expensive) but the summers are blistering. Your post ties in well with the rest of the site and should offer additional cross-sell opportunities. It’s clear you are lite years ahead of me in your site and content, as well as advertising. Congratulations! According to your top 10 beach town list, I would first go to Santa Cruz to meet pretty female students since it is a beach location mixed with intellect. My second place would be Fort Lauderdale since it is full of arts and I’m an artist. Third beach would be Charleston since it is nearby the ocean. Anyway, keep dropping that good content. Thanks Jean 🙂 Glad you enjoyed your visit to the best beach towns to live in. Beach towns are amazing places to be it’s ever lively with bracing fresh coastal breeze helps to blow away the cobwebs and revive the soul! Interestingly, I discovered that the reason sea air is so healthy and makes us feel great, is that it contains tiny droplets of sea water enriched with salt, iodine, magnesium and trace elements, which are scattered into the air by wind and waves. For sure I will love it. Me too Seun! Thanks for the visit to the Best Beach Towns to Live I! Yes Madeleine I do plan on providing the best beach towns worldwide 🙂 In fact, that is going to be my next review. I will let you know when I have it up for viewing. Thanks for stopping by to see the best beach towns to live in. Nice! Great job listing the pros of these 10 beach towns. Coos Bay, Oregon sounds ideal. Though I was born and raised in the city, lately I’ve found myself drawn to peace and quiet and I would definitely have that with a population of only around 20,000. And the price range for real estate isn’t bad either. Yes, Coos Bay is absolutely beautiful. I have family there, and I guess the only down side is the rain. Living in the sunshine state though, I am realizing that the rain is not such a bad thing. Thanks for stopping by! Oh this sets me on some serious day dreaming jaunts! 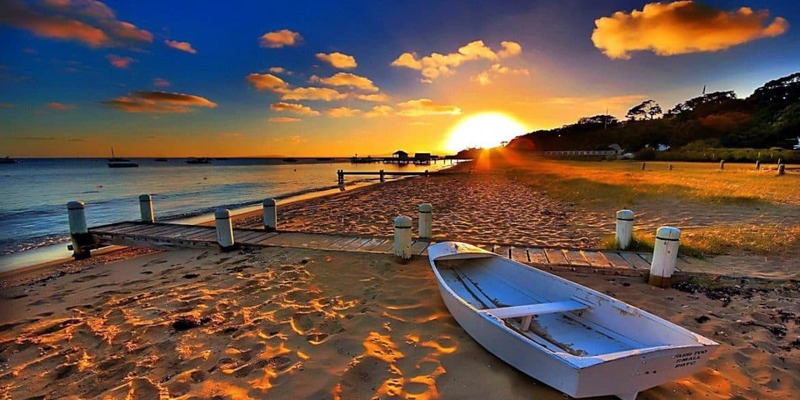 Who wouldn’t love to live in a beach town?For people thinking of where to retire house prices are important and it is good that you included some information about that. I’ve lived on the northwest coast and never found it too cold. 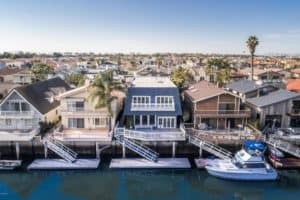 Walking the beaches and picking wild blueberries comes to mind…I have also driven around Oxnard CA, and while it’s expensive for many, if you own an ocean going vessel, that’s a great place to make a home with your own handy dock. Whatever coast you’re on, you always have the calming sound of the waves! Exactly and I am on the East coast, about 10 minutes from the beach. I love it and it is always calling me. Guess I am just a beach bum at heart 🙂 Thanks for visiting beach travel destinations. I’ve dropped by for another beach adventure. If money was no object, it would probably make choosing a beach-lifestyle and a beach-home a lot easier. As you move further North the climate gets a little more chilly but the activities change as well. I live just North of Washington State in the Vancouver region so I understand a bit about fog and chilly days. We adapt well to this harsh climate and have even managed to get the “polar bear” crowd swimming on New Year’s Day. The beach-lifestyle is growing in popularity and is not about to go out of style, any time soon. Your 9 examples are all worth considering, but since I live on the Pacific Coast I feel that my opinion would be slightly biased. Wetsuits and red wine are often used to keep the chill at bay, on those foggy days, when the sun has left us for California. Well I know too Paul as I lived in Alaska for 22 years. I now live in Florida and I guess I am a beach bum at heart and the beach just calls me. I don’t get much done living so close, that is for sure. Thanks for stopping by! Thanks for visiting Charles and I would have to disagree 🙂 I am certainly by no means “filthy rich” and I live on Clearwater Beach in Florida. There are deals out there for those who really want the beach lifestyle. Thanks for stopping by! Hello – I love the topic of this post as I always enjoy visiting new beach destinations. I haven’t really thought about living in a beach town, but your post has brought a new consideration into that thought. 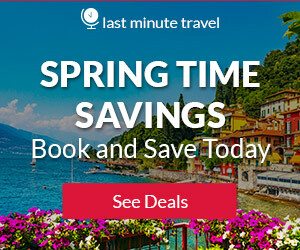 I have visited some of these destinations in the past, but you have introduced me to some I never would have thought about. I have lived by the sea before, and I really did enjoy that, and may well like to do it again some time. The beach towns you mention sound really lovely, and the prices of property sound very reasonable. I would think that if you live in the US you would be happy in any of them. But I live in the UK, so they would be quite impractical for me. But of all the beach towns I have visited in Europe, the one that I really loved was Barcelona, in Spain. It has all the buzz of a city, beautiful architecture, a great climate and a most beautiful beach too. Although realistically I know that I will never get to live there!! You are very welcome Chrissie, and yes Barcelona is beautiful ! WOW this is amazing. 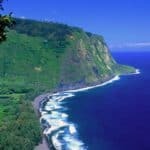 This article has the best beach locations in the world. 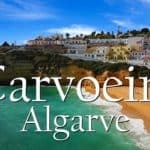 Instead of going all over the web and searching for different towns with amazing beach you can come to this article because it has everything at one place. Thank you for the research about the beach towns and sharing it with us. You are very welcome Sujandar! Glad you enjoyed!